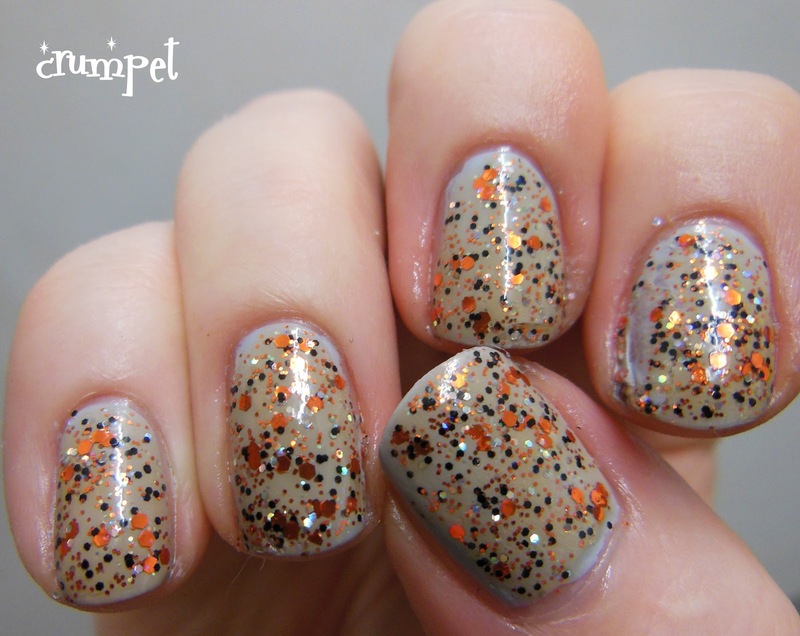 I have lusted after Indie brand The Polish Bar for the looooooooongest time, but sadly, she doesn't ship internationally. But one phenomenal swap with my lovely Katee later ..... you can colour me happy !!! 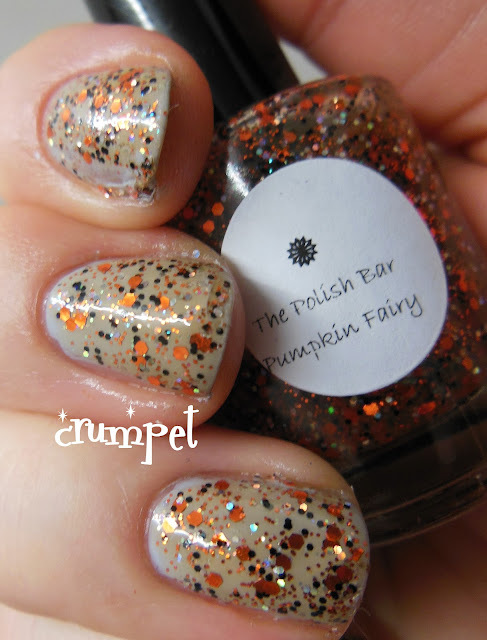 Pumpkin Fairy is like a tiger had a fight with a disco ball. 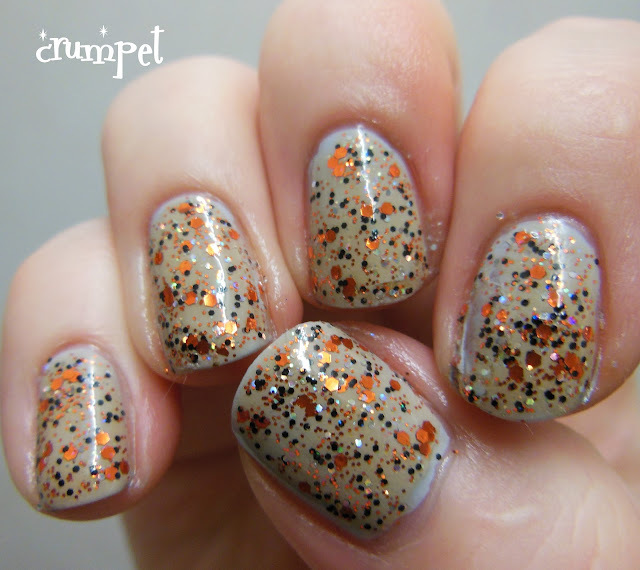 Orange, black and insanely holographic glitter battle in a rich marmalade base and then do discotastic battle once they're on the nail. Wow ! I didn't want to layer this over an orange as I really wanted to get the full orangey flavour, so I layered this over KIKO 329, a lovely pale grey. 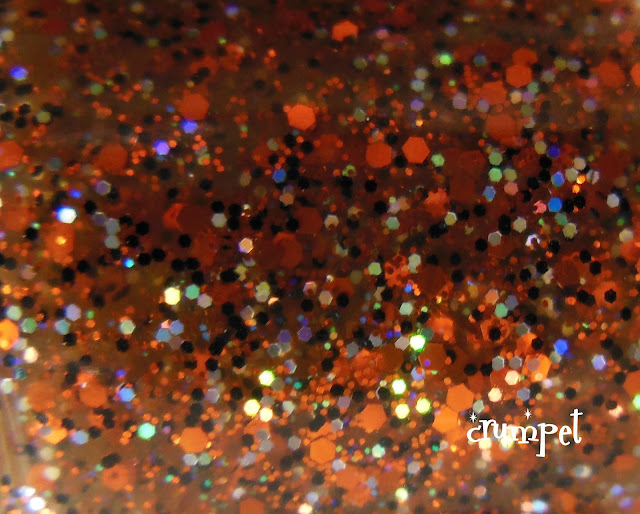 What I really liked was how intense the jelly base of Pumpkin Fairy was, and how it beautifully stained the KIKO with just one coat. The photos haven't quite captured how utterly dazzling this was in real life, definitely the BEST orange glitter I have come across so far, and another Halloweenie that's classy enough to last all year round.